Calandrinia ciliata is a low growing colorful annual herb. Calandrinia ciliata is native to California as well as into New Mexico and up to British Columbia. Calandrinia ciliata is the old for Red Maids or Fringed Red Maids this name is still widly used in the seed marketplace and manuals. The new name is Calandrinia menziesii. 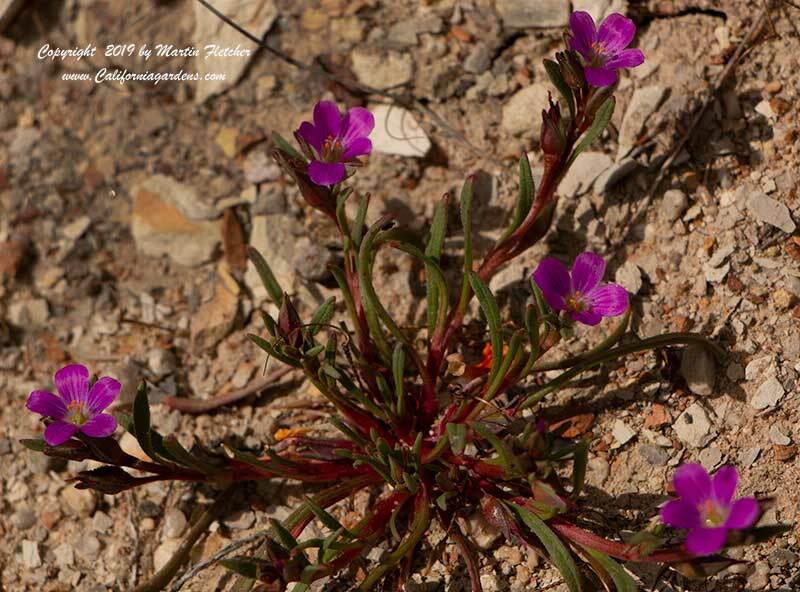 Red Maids grow in grassy or disturbed areas. They grow from 4-8" tall and to a foot or more wide. The magenta red flowers are open during the day but close at night. All parts of the Red Maids are edible from the roots to the succulent leaves and flowers and seeds. 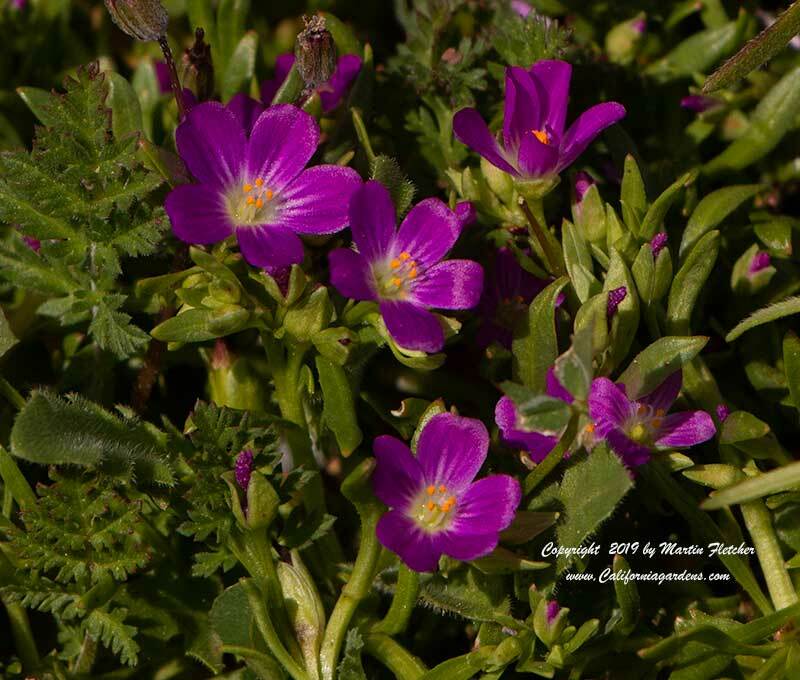 Calandrinia ciliata blooms in late Winter into Early Spring in Southern California and later as you move north. Calandrinia ciliata is an excellent addition to the wildflower garden, seeds are easy to start. Plant in Fall with the first of the rains. Calandrinia ciliata - Red Maids, Fringed Red Maids. High resolution photos are part of our garden image collection.